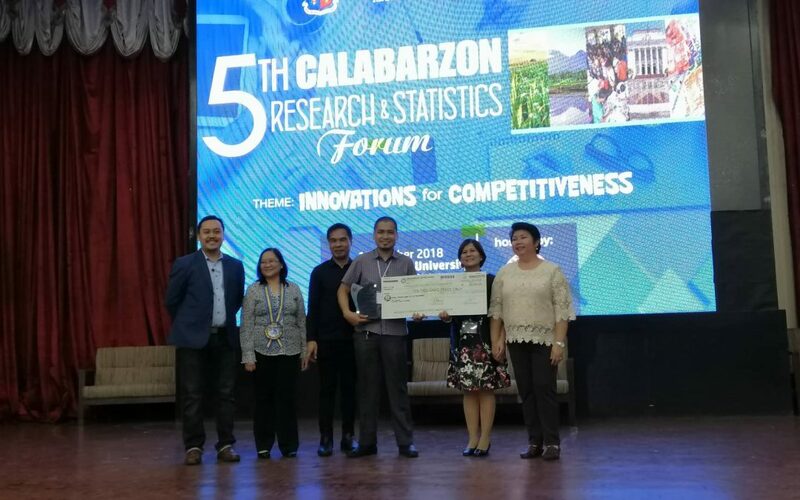 Batangas City- 5th CALABARZON Research and Statistics Forum with the theme Innovations and Competitiveness, October 18, 2018 Batangas State University – Main Campus, Twenty-eight researchers from various government and private institutions exhibited 27 research papers and posters. Presentations and posters were all cream of the crop − screened and filtered from among hundreds of entries. Six presentations and posters were entries from Adventist University of the Philippines. 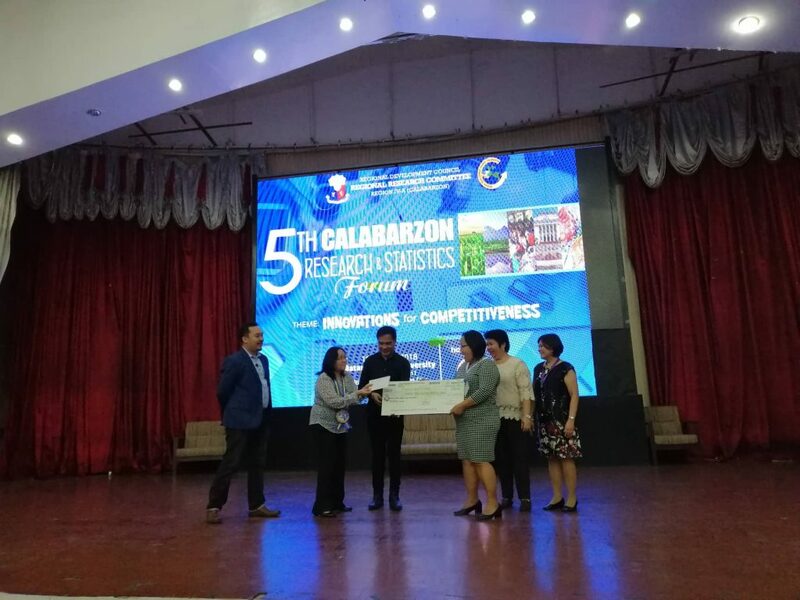 Researcher Ferdinand E. Mendoza, with his paper entitled: “Detection and Differentiation of Enterococcus, Escherichia coli, and Other Coliforms in Drinking Water Using a Novel Testing Method”, earned the 1st Place with the monetary prize of PhP10,000.00. What’s more? Among the 27 exhibited posters, “Efficacy of Ripened Extract Peel of Musa paradisiaca (Banana) Against Staphylococcus aureus” by Student Researchers Jahzeel Neil Salagubang, John Mikko Riosa, Florence Gaye Salido and Research Adviser Carmela G. Malabat and “Phytochemical Screening and Anti-Fungal Activity of Pseudelephantopus spicatus (Dog’s Tongue) Against Aspergillus niger” by Student Researchers Edelweiss Tutor, Dennis Rane Zamora, Edriel B. Rivero and Research Adviser Joyosthie B. Orbe obtained 2nd and 3rd Place, respectively, with the monetary prizes of PhP5,000.00 and PhP 3,000.00. Indeed, “the more entries, the more chances of winning”, as commented by Ms. Rona Beth Saban, one of the presenters. 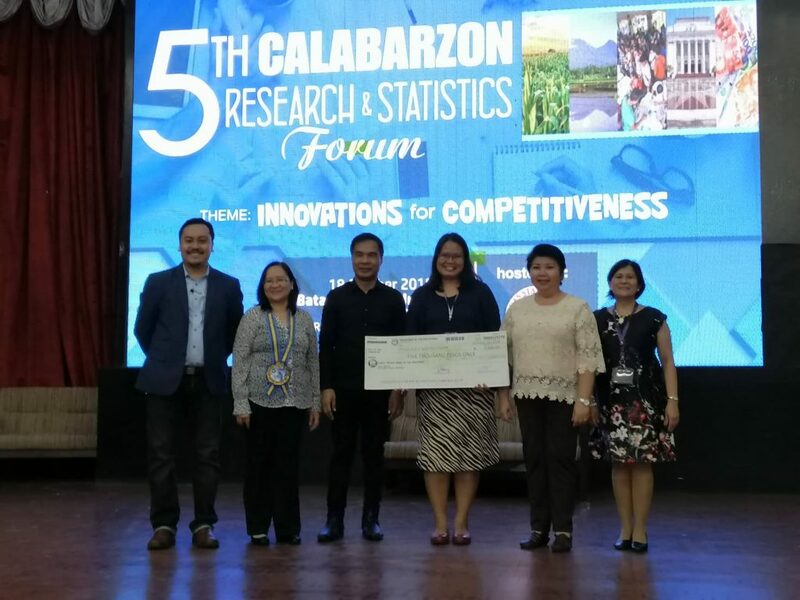 That is why, Dr. Jolly S. Balila, AUP’s Research Director, is encouraging students and faculty to enjoy the fun in the world of research!